* Award for excellence in student exposition and research sponsored by the American Mathematical Society and the American Statistical Association. ** Janet L. Andersen Award for outstanding exposition and research in Mathematical or Computational Biology sponsored by the MAA Special Interest Group in Mathematical Biology. 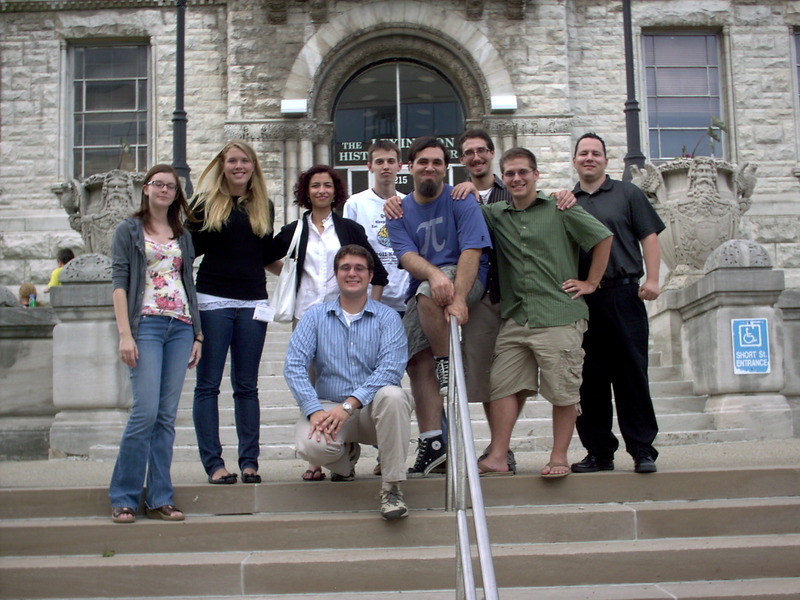 MathFest 2011, Lexington, KY. Left to right, Tara Sansom, Sarah Ritchey, Sepideh Khavari, Dan Catello (kneeling), Michael Coates, Bradley Slabe, Mario Sracic, Matt Alexander and Jason Cooke. The real value of participating in this and other conferences is to expose our students to the variety of mathematics that occurs throughout society and to encourage interactions with students and faculty from other Universities. Another goal is to excite students about mathematics and involve them in professional activities that lead to a lifetime of learning. Drs. Faires, Ritchey, Spalsbury, Wakefield and Yates also attended MathFest 2011. Thanks also to faculty who advised students on their projects. This included: Drs. Pollack, Ritchey, Smotzer, Wingler and Yates. We are grateful for support from: The STEM College, the Department of Mathematics & Statistics, CURMath, Pi Mu Epsilon, Mathematical Association of America, and NSF grant DBI-0827205. The CTME along with the ASM Materials Education Foundation co-sponsored a “Materials Camp” for pre-college teachers the week of July 11– 15, 2011, which culminated in a luncheon hosted by Dr. Martin A. Abraham, Dean, College of STEM. Joann Esenwein, CTME Director, Youngstown State University, served as the Materials Camp Coordinator for the first time. The master teachers included Mr. Thomas Glasgow, Ms. Georgia Peet, Mr. Eric Towers. Mathew Coppage, current YSU student and CTME Intern, and Jenifer Miller assisted the master teachers. 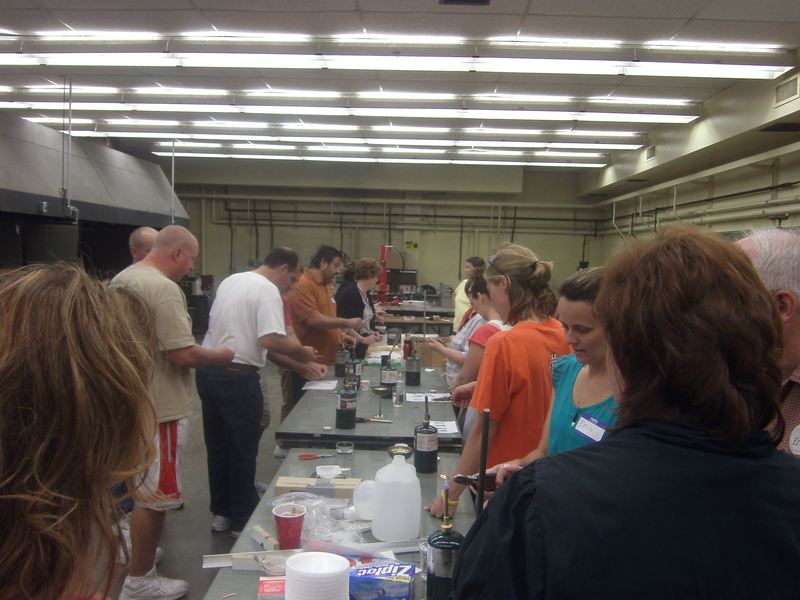 Twenty-five pre-college educators participated in this year’s camp and learned the basics of Material Science Technology with hands-on metal, ceramic, polymer and composite projects. ASM workshop materials can be used as a basis for teaching a stand-alone MST course or infused into an existing science and technology course with the common goal of exciting students about science, technology and engineering. The ASM workshop was developed at the University of Washington and Edmonds Community College and supported by the National Science Foundation’s Advanced Technology Education program.